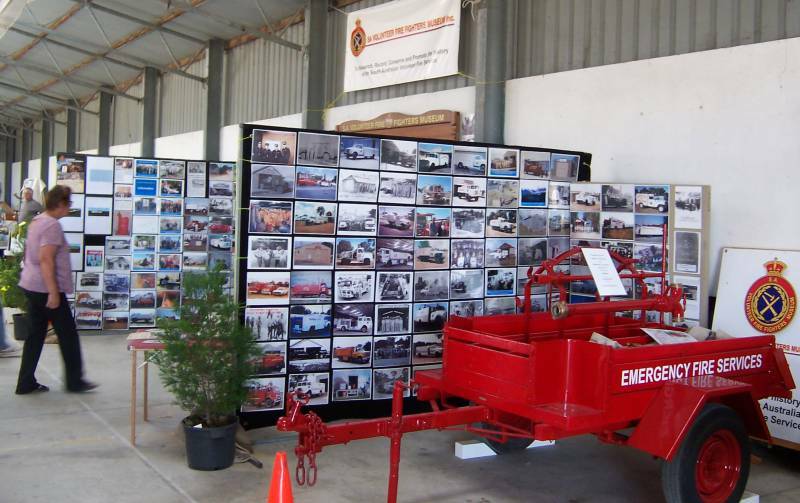 Pist ‘N’ Broke Vintage Rally 2015 | SA Volunteer Fire Fighters Museum Inc. The Pist ‘N’ Broke Vintage Rally 2015, organised by the Naracoorte Historic Vehicle Club was held this weekend at the Naracoorte Showgrounds. The Museum had all appliances out for display with a large historic picture and equipment display inside the pavilion.